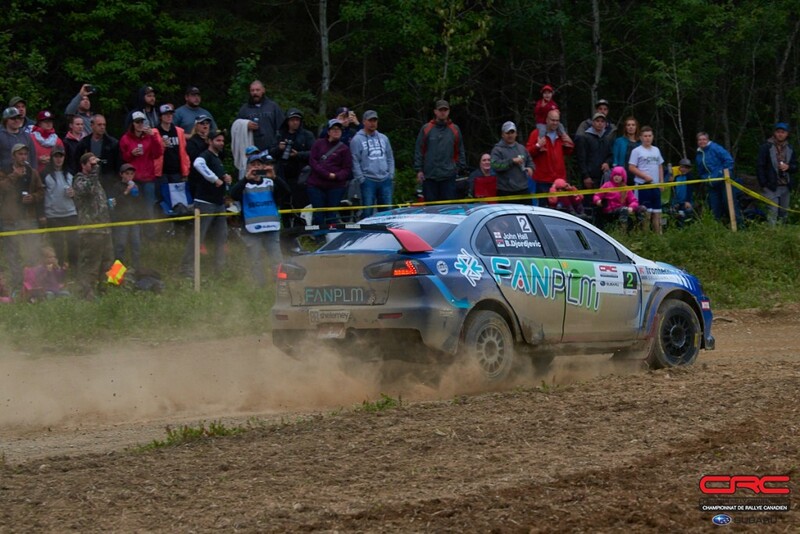 Antoine L’Estage and Alan Ockwell finished the first day of competition at Rallye Baie des Chaleurs with a lead, but not without facing challenges of their own. Thea team had built a good lead in the early part of the day, but a loud sound on an uphill hairpin proved to be a damaged driveline, forcing the team to limp to the end of the day. “The team has been working really hard, and we had a good lead until there was a problem with the centre diff,” said L’Estage. 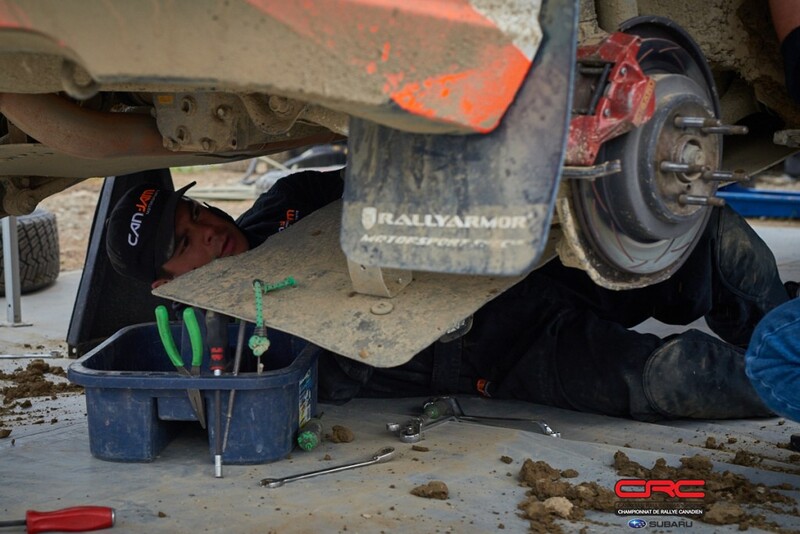 “We had to drive in front wheel drive, but the guys will have it fixed for the morning. The team is in a difficult position. The pair failed to finish the first two events of the season, and need to secure as many points as possible in an effort to get their championship bid back on track. Besner is aiming for a good result here, after failing to finish this event either of the last two years. In third place at the end of day one are André and René Leblanc, local to New Richmond, and a team that has shown impressive speed in previous events. The pair have been working with Frank Sprongl to develop their abilities, and that effort is paying off. 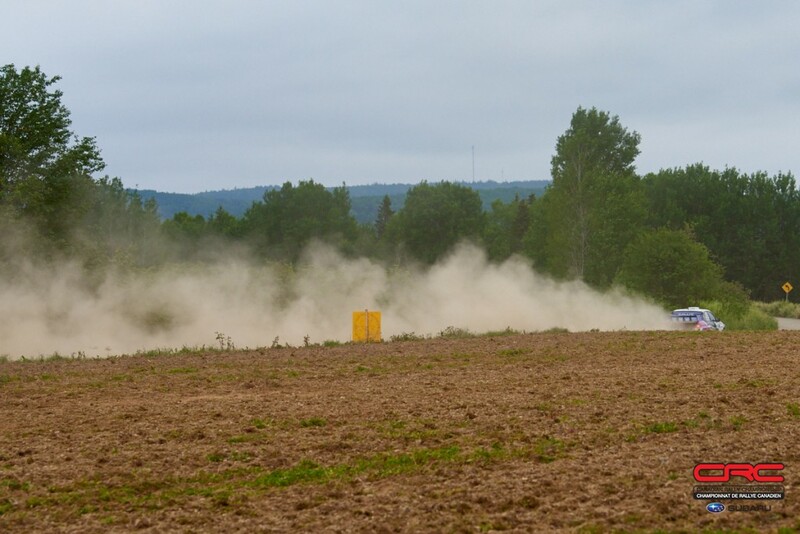 Disaster averted, the Leblanc’s finished the first day 1:30 back from L’Estage, minutes ahead of fourth placed Ricardo Trivino, competing at Rallye Baie as part of the NACAM championship. Nicholas Laverdière and Vincent Trudel have a hold on fifth overall, and sit first in Production 4WD to close out the first day of action. 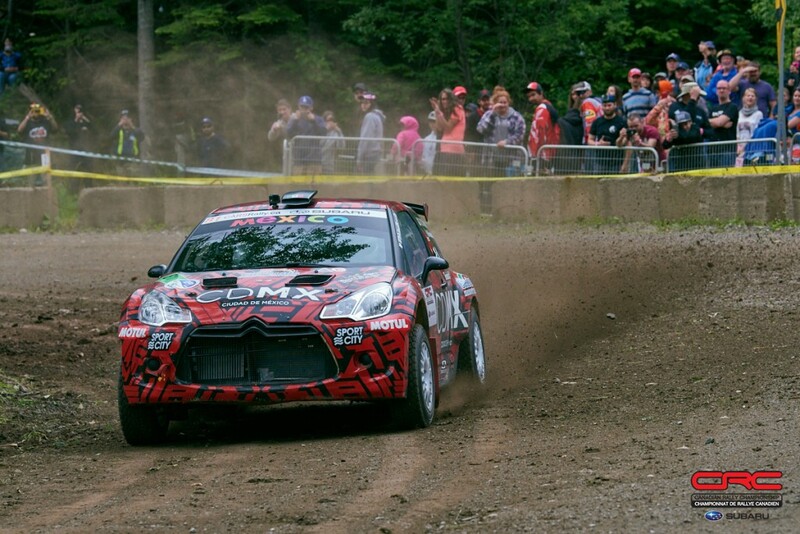 The pair took over the lead in Production 4WD after Crazy Leo Urlichich and Alex Kihurani lost time to a flat tire and then were sidelined with electrical problems. The Can Jam crew will try to solve the issues in time to restart the rally in the morning, but electrical problems can be difficult to trace. Boris Djordjevic and John Hall faced mechanical issues and were forced to check out of service late, taking 1:40 in penalties, costing two positions in the standings at the end of the day. Power Steering problems continued to hinder the team, and were compounded by electrical problems near the end of the day. Perhaps the most exciting battle of the weekend so far is taking place in Two Wheel Drive. 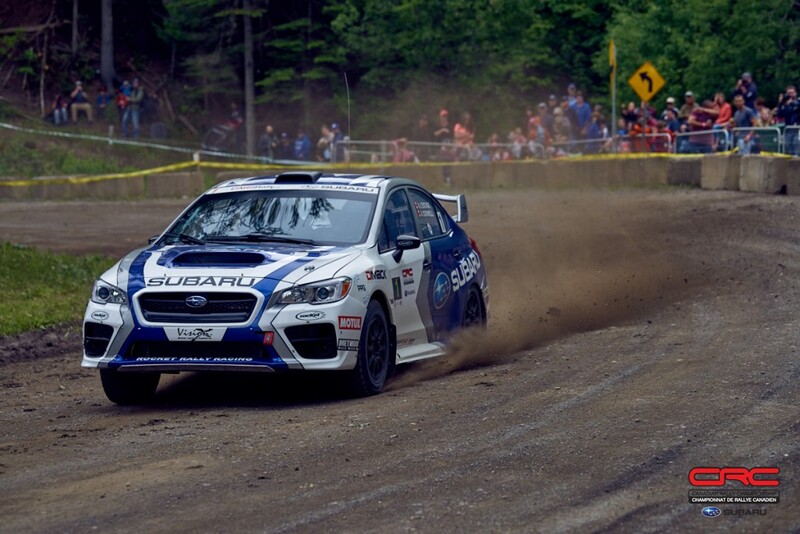 Before the final loop of stages, the top three teams were separated by 10 seconds. Dave Wallingford and Leanne Junnila held the lead in class through the day to the final time control of day one, heading into tomorrow ranked 11th overall. 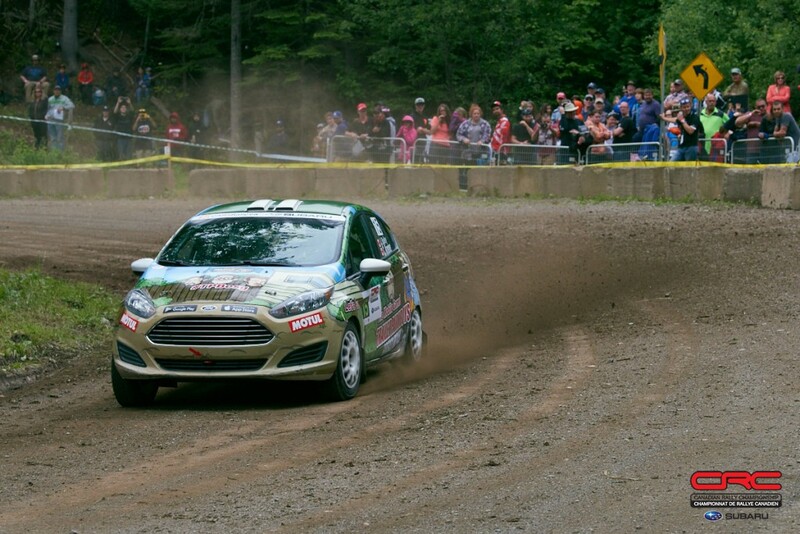 Wallingford made his Canadian rally debut at this event a year ago, and has come a long way since then, battling this year against a solid group of contenders. Second in class are Jason Bailey and Chris Kremer, 12th overall and 43 seconds back from Wallingford and Junnila. Both teams have entered the NACAM as well as the CRC championships, picking up additional points to add to their WRC Mexico tally. 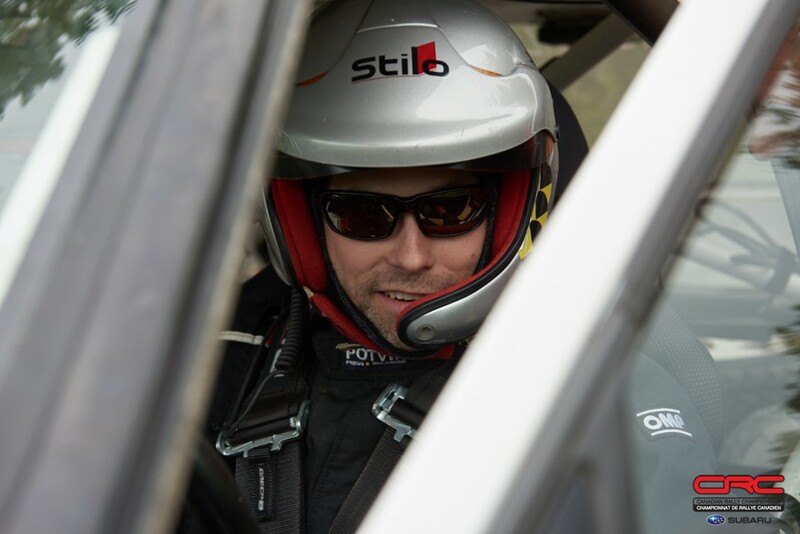 Simon Dubé and Aaron Crescenti had been a close third place, until a mechanical problem forced their retirement from the rally, but the car was fixed in the service park and the team will restart their rally tomorrow. Chris Greenhouse and Brian Johnson were sidelined with problems late in the day. The crew will hustle overnight to make repairs in an effort to restart tomorrow. 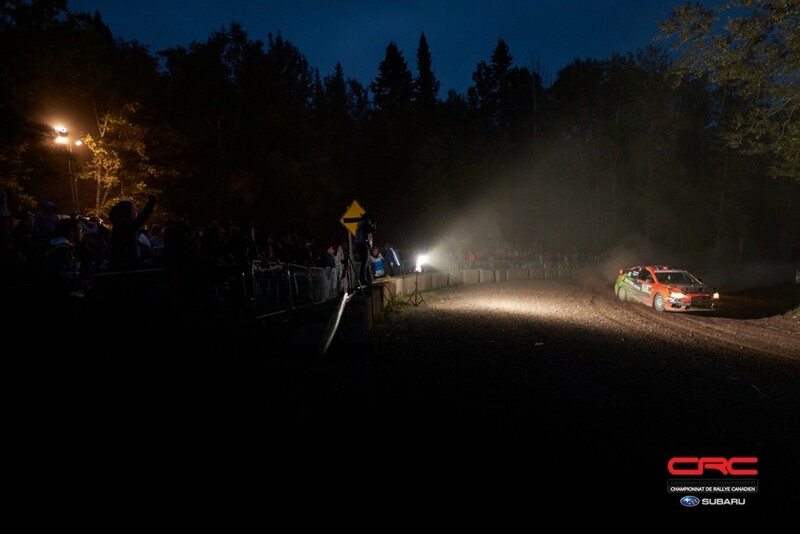 The local crew of Mathieu and Alex Samuel Leblanc moved into third place in their Honda Civic. They sit just over 45 second back from Bailey and Kremer. 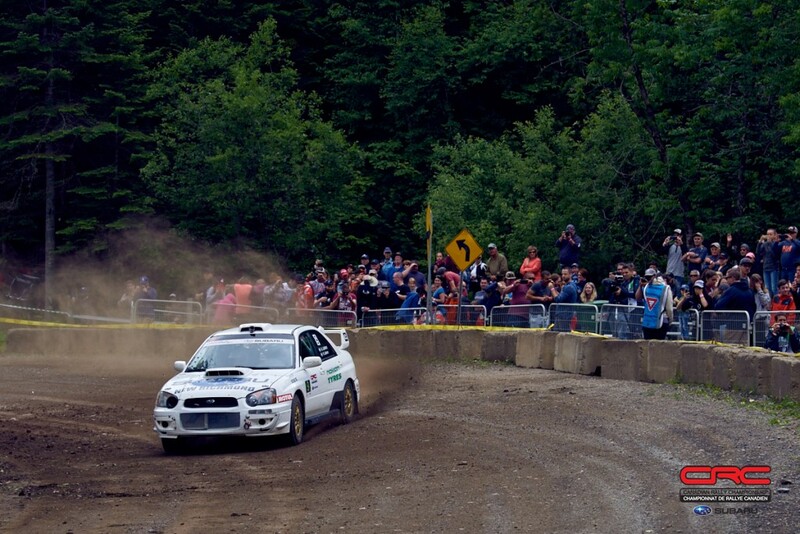 The Rallye Baie des Chaleurs continues Sunday, with four stages including two passes of the infamous Baie jump. Heavy rain has been falling tonight and is forecast to continue during the day, dramatically changing the levels of grip available to the teams.